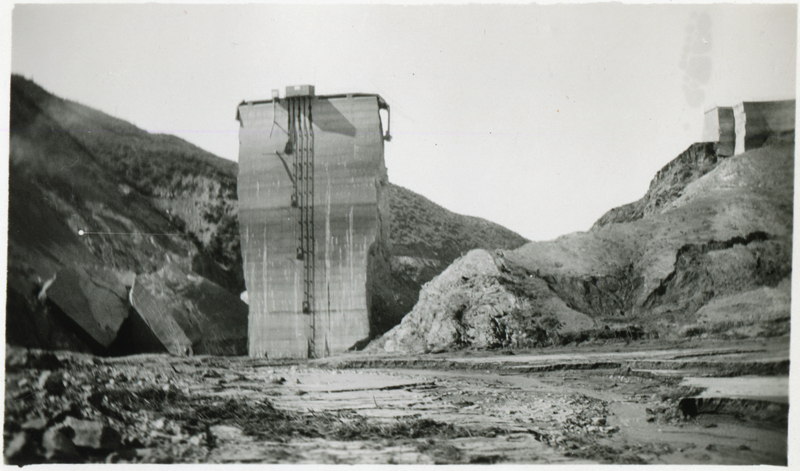 The St. Francis Dam "tombstone" — the section of the dam that remained standing after the dam broke March 12, 1928 — from the inside looking out (looking south). This 2½x4-inch print, acquired at a flea market, shares the physical characteristics of this one, suggesting that it, too, may have been mass produced as a souvenir. DI2803: 19200 dpi jpeg from original print.